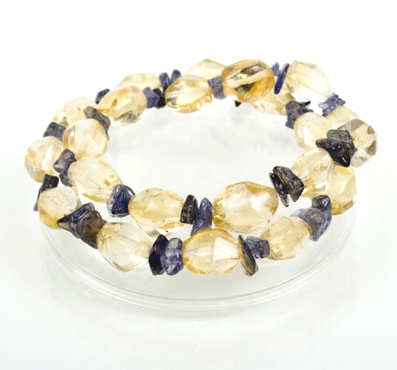 Two elasticalated bracelets made with citrine nugget stones and Amethyst. These two bracelets look great together or can be combined with our smokey quartz and citrine bracelets. These are really lovely bracelets and can be combined with any fashion. Measures 8 inches in diameter. Elasticated to fit most wrists.